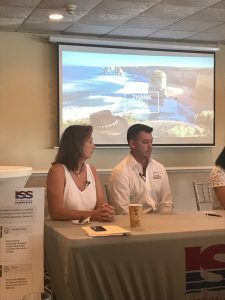 Following a successful Monaco Yacht Show, the Australian superyacht industry has strengthened their engagement further with industry in America, during the Fort Lauderdale International Boat Show. Aligning themselves with Superyacht Australia, Tourism Australia continue to support the efforts of the Australian industry to promote Australia to Superyachts. 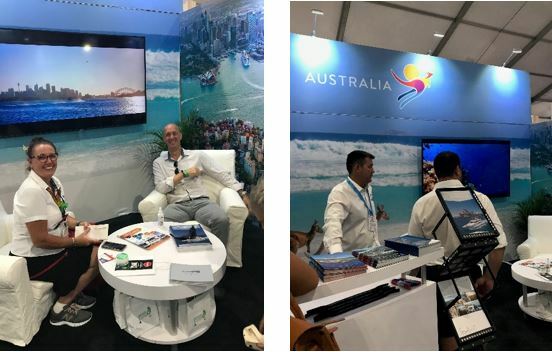 The Australian stand located in the Superyacht Pavilion (stand 670) has a strong presence, promoting Australia as a world class cruising destination, offering safe, secluded and pristine waters along with key signature experiences. Australian Companies featured on the stand include Super Yacht Group Great Barrier Reef, Carter Marine Agencies, Southport Yacht Club, BSE Maritime Systems, Rivergate Marina & Shipyard, Rabone Systems and The Yacht Professionals. Along with VEEM Propellers & Gyro Stabilizers located across the aisle in stand 649. 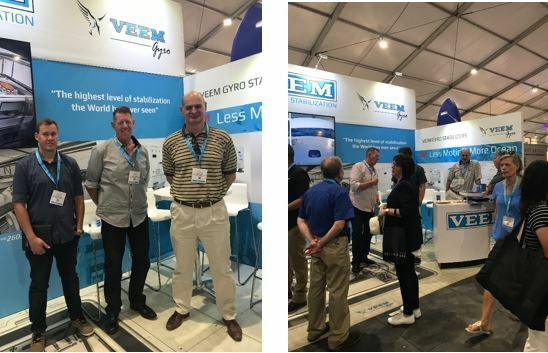 VEEM is a strong global brand specialising in gyros and propellers, operating from its head office and production facility in Western Australia. CEO David Good said “Australia is becoming a sought-after destination for Superyachts cruising down under and it is important that Australia’s capability, facilities, product and service providers are well profiled”. The Superyacht Australia Magazine launched this year at the Monaco Yacht Show and available on the Australian stand highlights the latest news from the Australian industry. Along with requirements and capability of facilities for visiting vessels, ensuring ease of access to Australia’s unique cruising grounds, providing excellent information to the global industry. Attendees at the International Superyacht Society Breakfast were delighted with a presentation from Karen Fitzgerald, Global Manager of experiences for Tourism Australia. Karen spoke about Australia as a key destination for the USA market, the presentation followed a panel like format and also included Christelle Holler from Tahiti Private Expeditions. The Pacific has so much to offer with Tahiti being a key stop for vessels on their journey through to Australia. Karen’s speaking engagements throughout the Fort Lauderdale Boat show also include a presentation in the USA Pavilion on Saturday 3rd November 3-4pm and Sunday November 4th 1-2pm. Australia’s world-renowned luxury motor yacht builder, Riviera, has proudly presented the much-anticipated release of their four new models at the opening of the Fort Lauderdale Boat Show. The impressive line-up includes the World Premiere of the traditionally inspired Belize 66 motor yacht and the Americas Premiere of the long-range and luxurious flagship Riviera 72 Sports Motor Yacht. The 39 Sports Motor Yacht that redefines yachting under 40 feet premiered along with the sporty and adventurous 395 SUV. The luxury motor yachts were expertly delivered by Aurora Global Logistics who have significant experience in the organisation of transporting multi-million-dollar vessels.